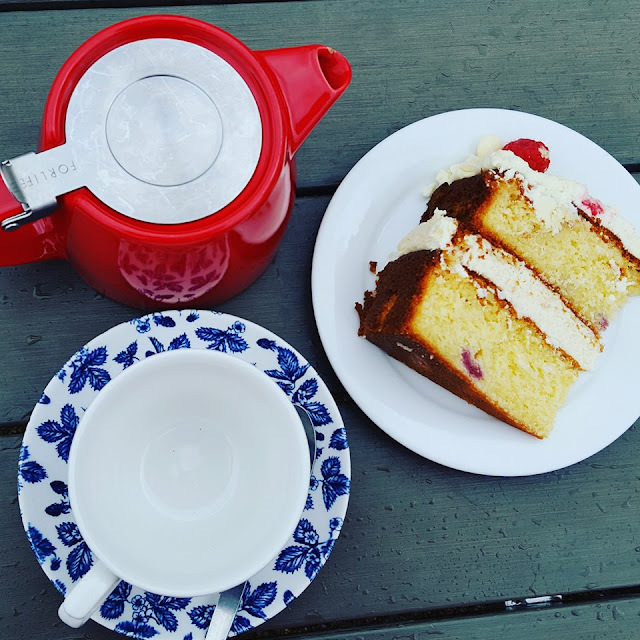 I have just signed up with Cadw membership, if you do it onsite its actually £10 cheaper than online which is a decent saving and something you really don't expect as usually you tend to get the best deals when you surf online. Anyway it cost £63 for our family of four and I am now looking forward to a year of exploring castles and having lots of lovely adventures. Cadw also have a fair few events scheduled too which sound very interesting so I will try and go during those dates so there is more to see and do than usual. 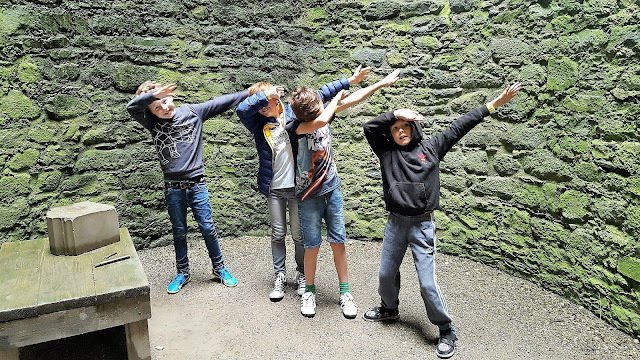 It can be educational for the boys learning more about history, especially when the castles have people in to recreate life as it once was. On this occasion I wanted to see Dwynwen and her babies at Harlech Castle but I timed our visit slightly wrong and the babies are actually arriving separately next week. Never mind it will be an excuse to visit again when we are in the area. 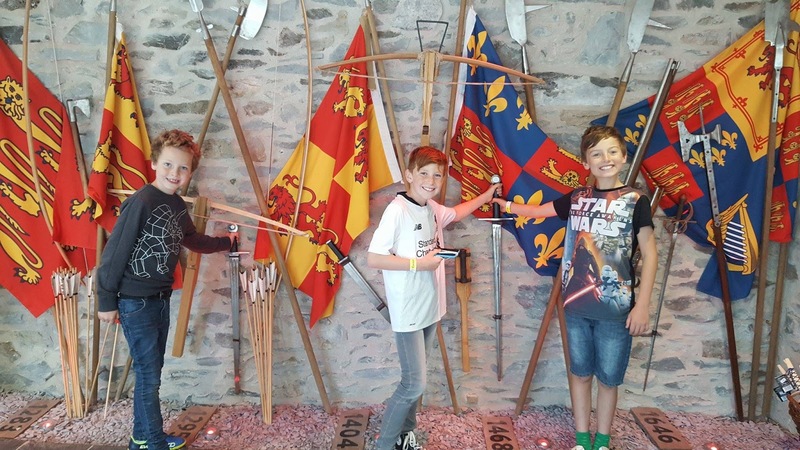 Knight School was also on and will be every Tuesday throughout the summer holidays, a 30 minute slot to try your hand at some sword skills and practice dueling. 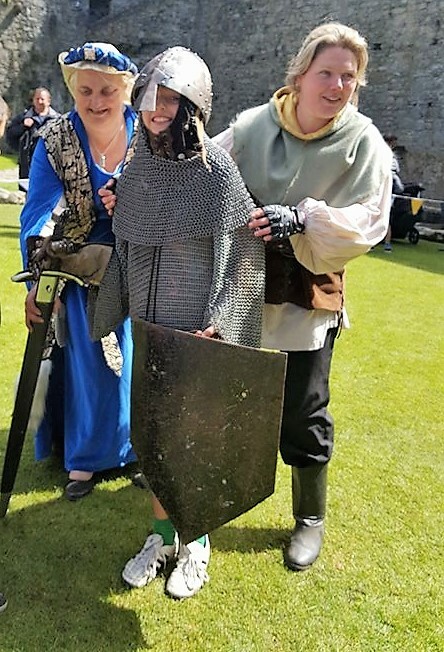 The boys and their friends enjoyed this, eldest liked trying on the chain mail, helmet and glove even though when he had everything on he was double his original weight apparently! I am surprised he didn't keel over bless him. If your hoping to take part in Knight School visit early in the day, we found out when we arrived that it was a ticketed timed event, but fortunately they had added another session and they had space for us. I like visiting castles but always feel a bit weary near the edges, going on all the winding stairs to the tower and peering down the sides turns my stomach slightly. I try and make our visits round the heady heights as quick as possible and spend more time at a level I am happy with like the ground floor in the foyer! A trip here wouldn't be complete without some dabbing. Yes the boys are still at it. Don't leave Harlech Castle without visiting the cafe, the cake we had was lovely! Although I was naughty as we somehow managed to skip lunch. My friend brought a packed lunch with him, I need to get more organised.